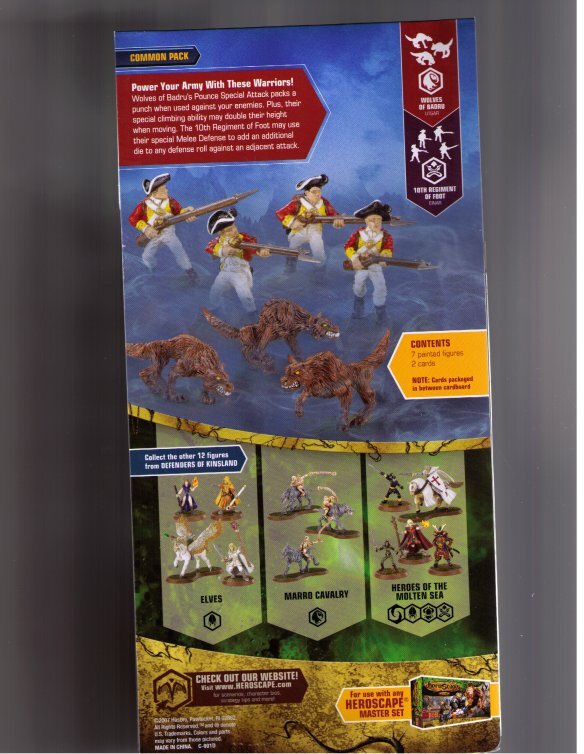 Soldiers and Wolves: Power your army with these brave warriors! Wolves of Badru's Pounce Special Attack packs a punch when used against your enemies. Plus, their special climbing ability may double their height in an attack. The 10th Regiment of Foot may use their special Melee Defense to add an additional hit to any defense roll. This pack includes 7 painted figures and 2 army cards.